Restoration works began on the Manor in 1987 when it was acquired by the Kane family from Palm Beach Gardens, Florida. It took little more than a year , but when the Manor was finally completed in 1988 Adare Manor as a hotel was now a world class home away from home. As a 5-star luxury hotel, the manor boasts such guests as ex-US President and First Lady, Bill and Hillary Clinton. The Robert Trent Jones, Sr. Golf Course was opened in August 1995. 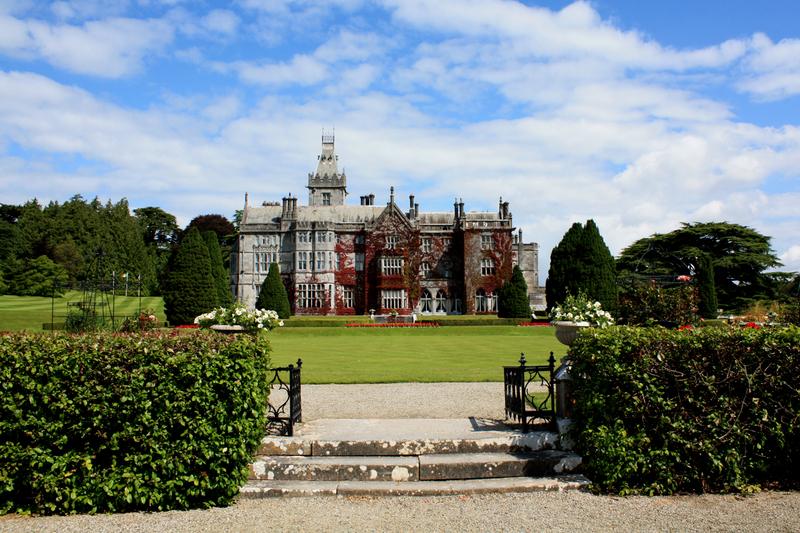 Adare Manor attracts anglers from around the globe on account of its excellent trout fishing in the River Maigue. Also on the Manor property sit two intriguing ruins; The Saint Nicholas Church and Chantry Chapel. Both date back to the 12th century. St. Nicholas is the only accessible ruin, as the Chapel sits in the middle of the golf course and casual foot traffic is not allowed. VETERANS MEMORIAL the bronze monument on the lawn in front of Adare Manor is a memorial given by the Kane Family to honour those Irish-born men and women who, over the years, have served in the Armed Forces of the United States. 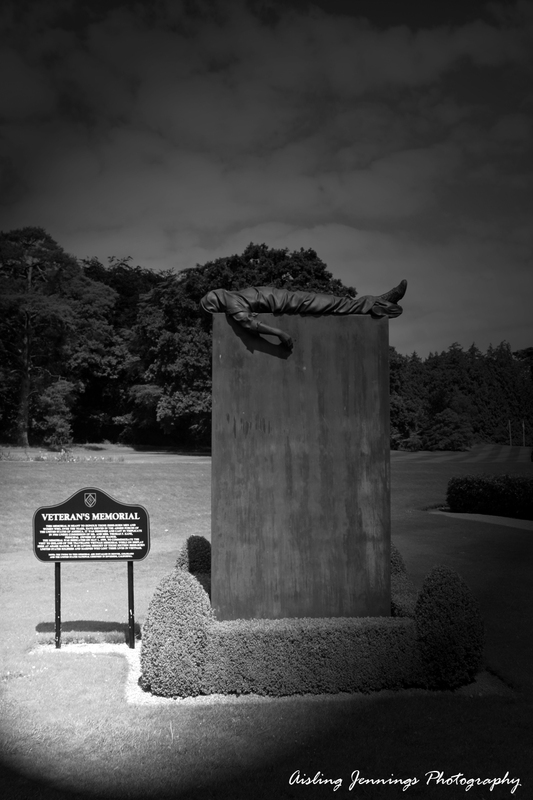 The memorial was designed and sculpted by A. Thomas Schomberg in 1986 under commission by Mr. & Mrs. Thomas F. Kane, owners of Adare Manor and cast in triplicate. A special dedication ceremony was held at Adare Manor, Adare, County Limerick on 2 May 1999 at the conclusion of the Irish tour of “The Wall That Heals”. The memorial statue commissioned by the owner, Mr. Thomas Kane, himself a veteran of the Vietnam War was dedicated to the memory of the Irish U. S. soldiers, sailors, marines and airmen who were killed or died in Vietnam. It was also dedicated to the members of The Irish Defence Forces who were killed or died on United Nations (U. N.) missions from the Congo to the Lebanon. This memorial is a striking symbol of the ultimate sacrifices which servicemen and women make in times of war and conflict. It depicts the body of a dead serviceman, wrapped in his poncho, his face covered; and nothing visible except for his right arm and combat boots; his helmet placed at his feet.